SUPERIOR DENIM. MADE IN TRUST. A Total Package Of Quality. Now On Kickstarter. We Make Jeans. Fair & Sustainable. Made In Trust is a declaration of love to honest quality clothing. We focus on finest fabrics and puristic design. 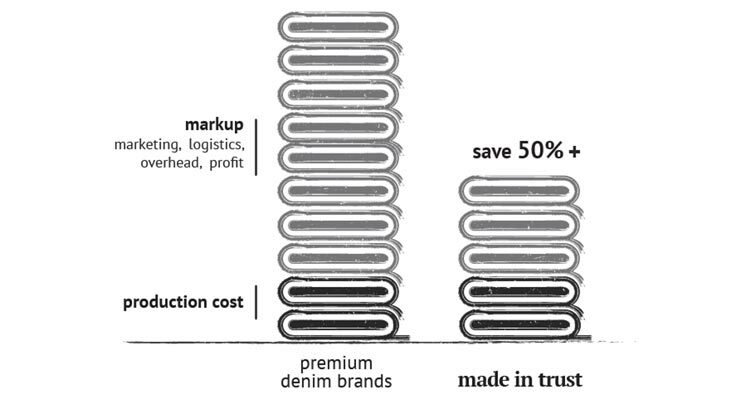 We make jeans fairly and sustainably. Our jeans are a total package for modern traditionalists who value good things. Inspired by purism, aesthetics and attraction of timeless design, we focus on the 3 essential quality characteristics of superior garments: fine fabric, great fit and top-quality workmanship. The result: A valuable and adorable piece of raw denim which becomes more and more beautiful and gets its own character over time. A pair of jeans that defies fast-paced trends. When you like what you see, please share our products with your friends. We strive for a total package. Clothing should not only convince with a visible and tangible quality. Responsible use of natural resources is as important to us as fair working conditions for all parties involved in the production process. To keep costs down and treat this planet’s resources responsibly we decided on a preorder system to only produce what is wanted. Clothing becomes more and more an insignificant good and is often wasted after 5 times of wear. We believe in solving this issue by creating a piece of timeless quality for everyday life. We only raw selvedge denim for our jeans. Due to the small batches we are able to make our jeans of 100% organic cotton. Making clothes is hard work and many people are involved in this process. Our manufactures and suppliers share our values of fair working conditions and fair wages. Handpicked quality fabrics always constitute the solid foundation of our jeans and define Made In Trust elementary. For the first production run we use Candiani Raw Selvedge Denim. 100% organic cotton. 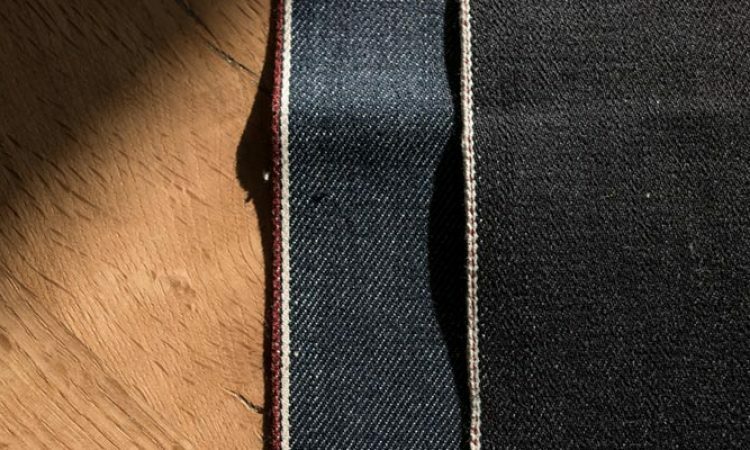 Better denim fabrics than most premium denim brands used for their jeans. We love good things and quality comes at a price. That’s the way it should be as long as the price meets the value of the product. While many companies create a brand image through expensive marketing campaigns and maintain expensive storefronts, we focus on the products, cut out the middlemen and sell directly to you. The result: just pay the product. MADE IN TRUST now live on Kickstarter. We want to keep you up to date on all activities. 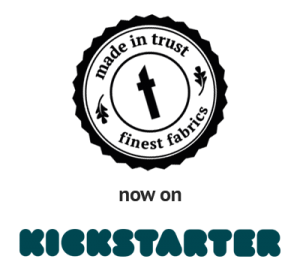 Here you find all information & updates about our current Kickstarter campaign. We look forward to your visit and your support.